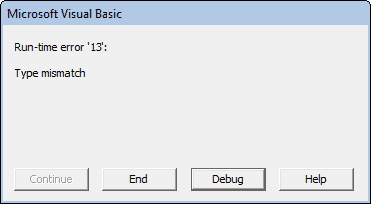 The VBA CSng function converts an expression into a Single data type (i.e. into a single precision floating point number). Where the Expression argument is the expression that that you want to convert to a Single data type. The following VBA code shows how the CSng function can be used to convert text strings and numeric values into single precision floating point numbers. Note that the values 0.66666666 and 235.1111111 have been rounded up or down, to convert them to single precision floating point numbers.